Define Network with examples. 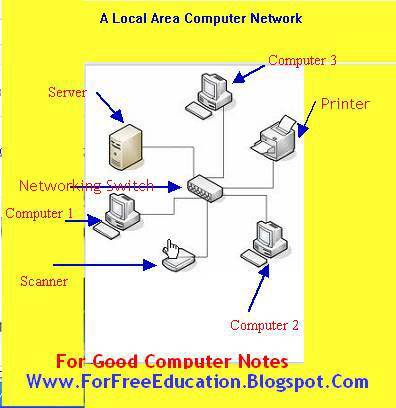 Give importance of Computer Network. Computer network can be used in an office. 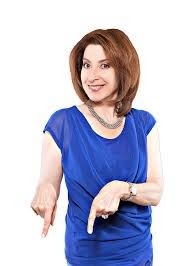 Different people in the office can share common information and printer. Net Cafes use Computer Network for internet sharing. Net Cafe Owners can save money by sharing one DSL Routers / Modem and a single Internet Connection. 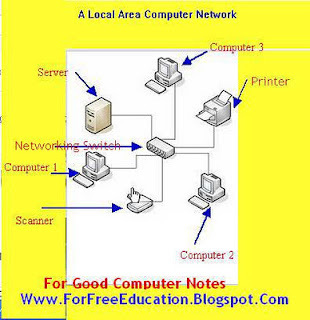 Computer Network is used in Computer Laboratories of Schools, Colleges and other educational institutes. 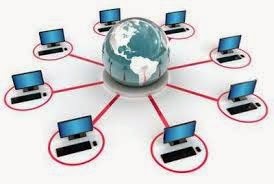 Internet, is also an example of a computer network. Internet is a network of millions of computers connected through phone lines. People can share information, files and talk with one another through internet. Different employees of an organization can share common information with the help of computer network. Different software can be shared with the help of computer networks. Different hardware can be shared with the help of computer networks. For example, if there are five computer users in an office, we can save cost by using only one printer with the help of computer networking. 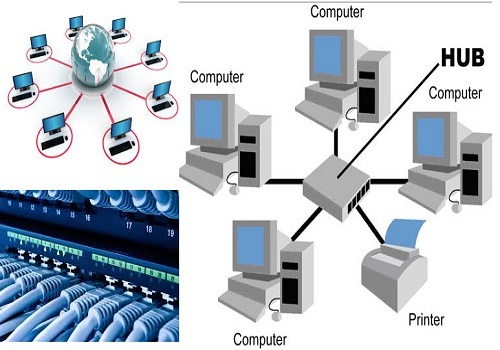 In a computer network, only one computer will manage all printing needs of the computer users in a small office. In addition, we can share other hard ware devices like hard disks, CD-Rom Drives / Writers, modems, routers and scanners etc. We can save a lot of money by using computer networking, because of sharing the same software and hardware in a network. We can buy only one DSL internet connection and share it with in whole organization with the help of computer networking. We can send and receive messages and files through network. In this way, a file can be moved to one place to another within an organization without the need of a physical worker to take and carry the files to a destination. With the help of a command in a computer we can transfer file within seconds from one room to another. We can send and receive emails and share files with other people outside organization using internet.